THE end of an era is nigh in Baugh Gardens following the announcement that the newsagents' shop is to shut its doors for good next month. The closure of Good News on April 13 will be 21 years to the day since Teresa Anderson took on the business. The paper shop has been in existence since the early 1950s and used to be a thriving hub, where children bought sweets and adults popped in for magazines, cards and stationery. Teresa recalled the days when she had 36 paper boys and girls delivering newspapers morning and evening in Bromley Heath. “We stopped doing deliveries three years ago. We still have regulars who come in every day for their papers, and we will be sorry to lose the relationship with them, We have kept the business going as long as we could, but it is no longer viable,” she said. 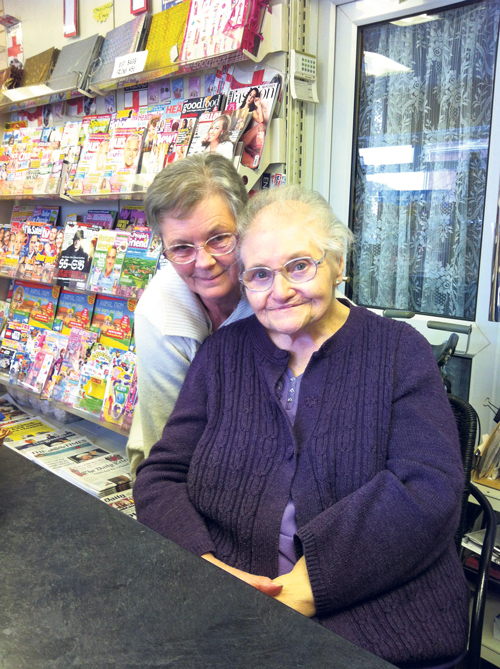 Years ago, the newsagent was part of a busy rank of shops, including a chip shop, ironmonger and general store, but its last neighbouring shop, a hairdressers, closed in November. “We don't get the passing trade any more. People get in their cars and go to the supermarket. They don't have the time to come to local shops.” said Teresa, who also runs a card franchise, which will continue. She is holding a closing-down sale during the final weeks of the business and has written a poem to say farewell to her customers.